and a peaceful setting to enjoy! 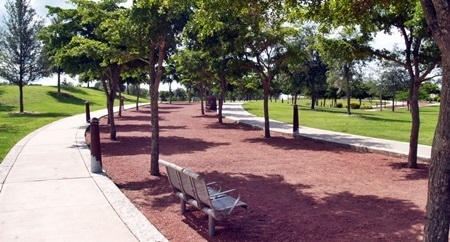 Payne Park in downtown Sarasota sits just east of the hustle and bustle of nearby Rt. 301 and just south of Ringling Boulevard. I enjoyed this peaceful greenbelt, with rolling landscape, on a bright and sun-filled warm Sunday morning in late September. With a light breeze blowing and the park sparsely populated in late morning, I came upon a few folks wandering about various areas of this recreation area along with some geese and ducks, happily waddling and paddling along in and around a couple of ponds within the park. 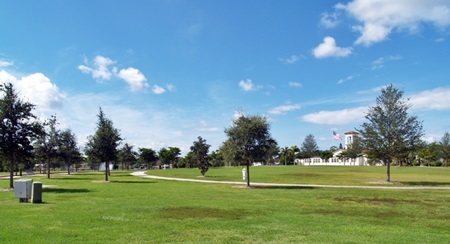 The park is also a place of great Sarasota history as it was the original site of baseball spring training for decades. 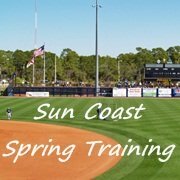 In fact, from 1924, when spring training first came to Sarasota, to 1988 when the Chicago White Sox and Texas Rangers played the last game in Payne Park, it was the spring training home to the New York Giants, Boston Red Sox and Chicago White Sox. The baseball park would be succeeded by Ed Smith Stadium, now known as the home of Baltimore Orioles spring training camp. Maybe as you stroll through the park, or sit down on a bench, you'll hear echoes of the crowds of old cheering for the spring training teams of yesteryear. 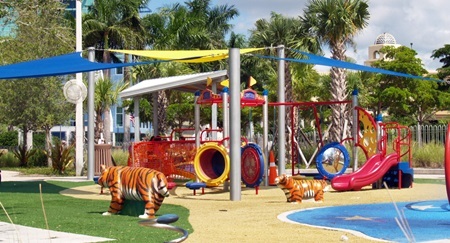 Not only is Payne Park conveniently located but it features a handful of amenities and recreational activities to enjoy year round. The park spreads out over 29 acres with lots of greenbelt to enjoy along with tree-lined paved walking, jogging and biking pathways along with picnic tables. And during my last visit there were folks doing just those activities plus walking their dogs (make sure to pick up after them). And the dogs appear to love Payne Park as much as humans! It’s just a lovely and peaceful setting. 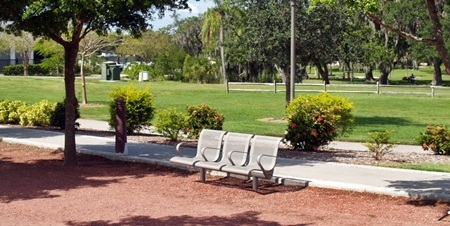 Also sprinkled around the park and near the paved walking paths are park benches where you can sit and enjoy your surroundings while reading your favorite author or digest on your electronic device or hard copy. Payne Park is also home to an auditorium, complete with a stage, built in 1962, which is the site throughout the year for a wide array of activities from dances and concerts to workshops and seminars, meetings and even wedding receptions! You can rent the auditorium for your special event: 941-954-4165. 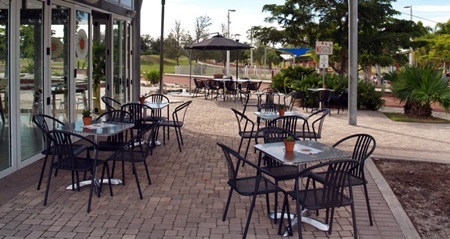 In August, 2014 they opened a café, simply called Cafe in the Park! 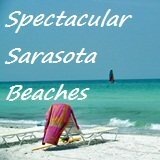 An Escape-to-Sarsota.com visitor, Jayne S., from Bradenton, FL writes about the café; "Just returned from Payne Park in Sarasota...had lunch at a wonderful new addition to the park...Café in the Park. 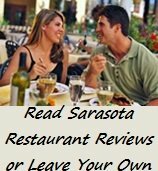 Awesome sandwiches & salads. And the pecan strudel pumpkin cheesecake could win an award! 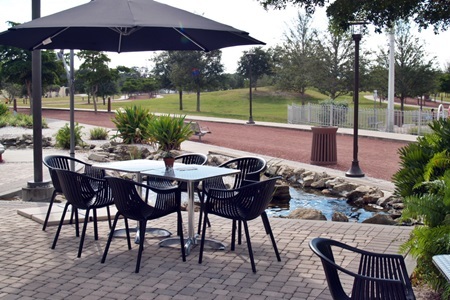 This spot is surely a special place to spend the afternoon, enjoying the yummy food, music, beautiful view of the park, Circus playground, pond & fountains." 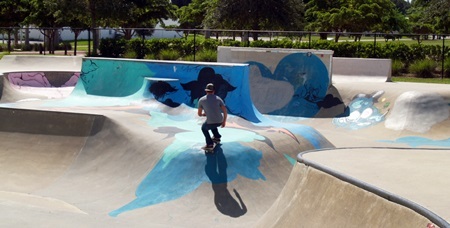 There are three additional features in the Park; a playground for kids, a skate park and a tennis center. 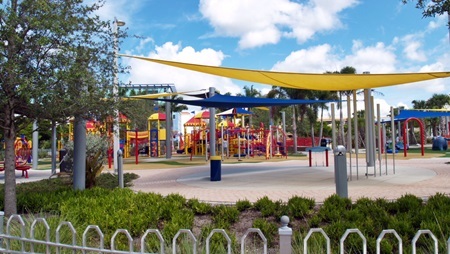 All are popular and families bring their young children to the playground which is outfitted with all of the favorite rides and playground attractions that kids just love. 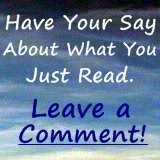 You can tell they love it by all the laughter, smiles and happy faces on the kids in the playground, which is nicely fenced off from the larger part of the park, so that the kids have their own special area. 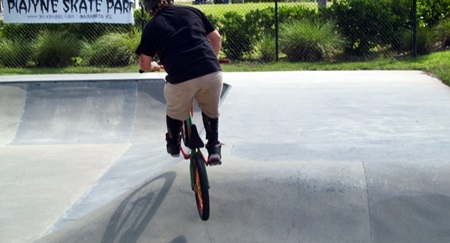 The Skate Park is populated with skateboarders and bicyclers of all ages and experience levels and is operated by a local non-profit group that has partnered with Sarasota to operate the park. 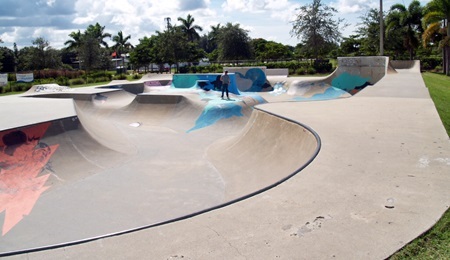 The Skate Park also features free Wi-Fi plus a pro-shop and concession stand for the convenience of skateboarders and bikers. Payne Park also features a Tennis Center with 12 Har Tru Hydrogrid courts under lights along with a hitting wall, locker rooms and showers, lessons, clinics and more. Plus there are also leagues and tournaments featured throughout the year at this state of the art tennis complex. 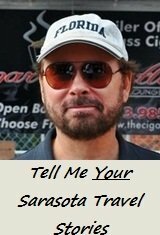 Here’s more on the Tennis Center. Tennis Center Park Hours: Monday – Thursday: 7:30 a.m. - 9 p.m., Friday: 7:30 a.m. - 7:30 p.m., Saturday & Sunday: 7:30 a.m. - 4:30 p.m. 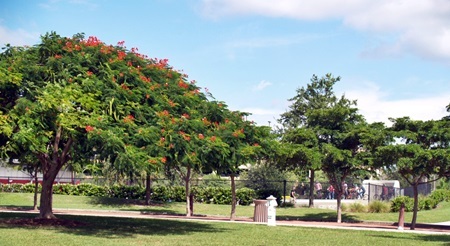 If you enjoy peaceful settings, wonderful greenery and walking or just relaxing on a park bench, Payne Park is the place to visit with your family and kids, as a couple, by yourself or with man’s best friend. 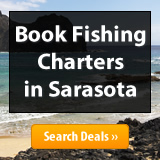 Location: Just off U.S. Highway 301 in downtown Sarasota just south of Ringling Boulevard. Rte. 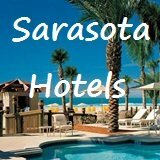 301 & Adams Lane, Sarasota.